The area in question is the former school canteen near Wellington Rd. 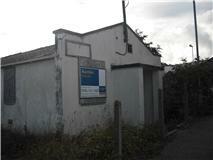 It has recently been sold by Cornwall Council as surplus to requirements. Many people thought this building should be given for community use, but sadly the building was old, rotten and had large parts of it constructed out of asbestos. It would have needed to be knocked down and a replacement built. It was offered to the community, but it came with a price take of around £120k. That did not include the cost of the rebuild. The site was sold with outline planning permission for one single storey dwelling. Most people who I spoke to supported this and were quiet happy with this. 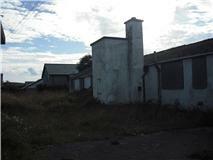 Sadly, as it was the right of the new owners, they decided to place three 2 storey buildings on this site. I will use the word shoehorned, as that’s what it amounted too. Anyway the Town Council were not happy with this, nor did the nearby residents. In fact this development would have had a very big negative impact on those houses along Wellington Rd. The applicant would not negotiate, so I decided to call this to Committee. The short story is that I got it refused unanimously by the Planning Committee. They felt all the issues I raised were valid and decided to support me in my recommendations for refusal. The applicant has the right of appeal to the planning inspectorate, but I gave enough reasons to support refusal that should hold up if the applicant decides to go down this route. What I hope is the applicant will listen to the issues and I hope resubmit new plans that are for a maximum of 2 single storey building. I would be happier with one, but I have to be realistic on this. Trying to cram as many houses into one small plot to maximise profit is not good for those residents that would be affected by it. It’s better to work with the local community to achieve something than purely for a better balance sheet.